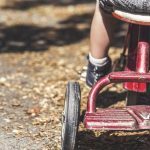 Functionality and comfort are important when buying a stroller but the real question is: How can you find the best stroller board for your older child? No longer do you need to limit the use of your stroller to one child. The older sibling can ride now along by using a stroller board attachment. If you are traveling to a high traffic area such as busy streets or crowded amusement parks, a ride-on stroller board is the best solution for multiple kids! 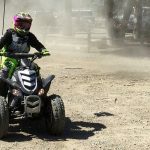 Kids Ride Wild searched high and low to bring you the best buggy board picks along with an insightful guide on picking out one that will be perfect for your stroller travels. The Baby Jogger Glider Board in black can be used on a wide variety of Baby Jogger strollers. If you have the City Mini, City Mini GT, City Select, City Versa, City Elite or FIT Jogger; this is the perfect attachment to let your older child hitch a ride. While you are out running errands or taking a walk around the neighborhood, children up to 45 pounds can tag along using this glider board for stroller. It simply attaches to the rear axle, and one child can step on the board to roll with you and your baby. It’s non-slip surface keeps little feet from slipping off while in motion. Although keep in mind that this stroller attachment is not intended to be used for fast jogging. No need to remove it when you put your stroller in the car as it will conveniently fold with your stroller. 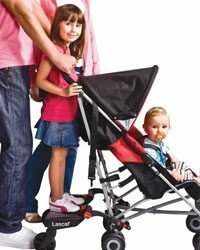 This is a great solution for parents who have multiple children to be active with all kids riding on the stroller. Essentially you are able to extend the usefulness of your Baby Jogger stroller as your children get older. This baby jogger glider board measures 4.33 x 12.99 x 16.53 inches and can be adjusted to best fit your child. Kids love being able to ride around with their younger sibling! >> Check out Baby Jogger Glider Board on Amazon right here. The Lascal Buggy Board Maxi Stroller Board is a great way to transport two kids in a single stroller when the older child is too large for a double stroller. This product is not limited to one type or brand of stroller as it can be used with virtually any stroller on the market. There may be a few exceptions but is still amazing that the lascal buggy board can be used for multiple different strollers. The Lascal BuggyBoard Universal Connector kit is purchased separately to adapt the stroller to fit all stroller models. You can use additional connectors if you own more than one stroller to switch the Lascal buggy board out from stroller to stroller. It is almost effortless to install this attachment as there are no tools required and it connects and disconnects in a matter of minutes. This model is recommended for children ages 2 to 5 and can safely hold up one child up to 66 pounds. While the baby is in the stroller, the older child steps up onto the platform and holds onto the stroller frame. The Lascal buggy board is full of added safety features including side bumpers, non-slip platform and a comfort suspension system. Your child’s feat will have plenty of room to fit on the wide platform that measures at 17 x 19.8 x 18 inches. This board has the ultimate versatility for your older child to ride along in comfort. >> Check out Lascal BuggyBoard Maxi Stroller Board on Amazon right here. The Bugaboo Wheeled Board is a unique twist on the standard stroller board that allows more breathing room for parents while pushing the stroller. This product can hold a child up to 44 pounds making it convenient to have both an infant and older child in tow. 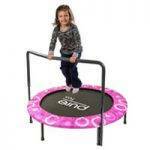 It is extremely sturdy and offers enhanced flexibility for parents to be able to adjust the board position. 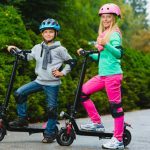 Kids stay in place while riding on the Bugaboo wheeled board as the standing board is non-slip with riveted grooves for added protection. The board will ensure a smooth ride as you push the stroller over different terrains. It features one sturdy wheel instead of two, making it much easier to maneuver around with the weight of your children. Weighing at only 6.1 pounds, it is lightweight and can go anywhere with your stroller. All you will need is the adapter, sold separately in order to attach the board in a matter of minutes. Your child can either sit on the included seat or you can detach the board for them stand and ride. If you have a Bugaboo stroller that you absolutely adore, this is a great way to extend it’s useful life for your growing family. >> Check out Bugaboo Comfort Wheeled Board on Amazon right here. In our opinion, the Englacha 2-in-1 Cozy X Rider is the best universal buggy board that can be used for all baby strollers with it’s included connectors. Simply attach the connectors onto the tube of frame of your stroller and your older child can hop on for a fun ride! If you desire more walking space between the stroller board, the 3-section connector can be adjusted higher up on the stroller frame. Making the adjustments are super easy with it’s quick on and off connector functionality. This buggy board is extremely versatile as your older child can ride standing up or if they want to sit, the seat simply fastens to the base. When the seat is not in use, you can screw in the cap to close up the attachment hole. No need to worry about your child sliding around while the stroller is in motion as the non-slip board surface keeps their feet firmly planted. Parents also like the stroller strap as an added layer of convenience to keep the board out of the way when your child decides to walk with you instead of riding. This is the ultimate universal stroller board that will keep both of your children in tow. >> Check out Englacha 2-in-1 Cozy X Rider on Amazon right here. If you own a Vista stroller, the UPPAbaby PiggyBack Ride Along Board will allow your independent child to hop on for a ride with their younger sibling. They won’t slip around as the Piggyback has a large 17 x 18 x 6 inch board. Instead of plastic or metal, it is constructed from a natural wooden material. This buggy board is eco-friendly and ready for your older child to hop on board. The two light-colored wheels are durable enough to handle almost any bump or curve in your path. Keep in mind that this model only fits Vista stroller models from 2014 and previous years. Although, there is a version of the PiggyBack Ride Along Board for the 2015 models and newer. The glider board for stroller snaps right onto the stroller frame, absolutely no tools or complicated assembly required. It folds up when not in use and can even fold up with your stroller. This buggy board can hold much more weight than comparable models as the maximum weight limit is 96 pounds. 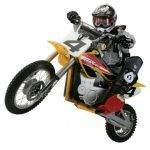 If you buy this for your child, you can be assured that it will grow with them for several years. To sum up, parents who are looking for a stroller board that is lightweight and portable will love the UPPAbaby Ride Along Board. >> Check out UPPAbaby PiggyBack Ride Along Board on Amazon right here. Stroller boards add longevity to your stroller by allowing your older child to ride along on the platform. In order to get the best use of a buggy board, here are some things you should consider when it comes to features and functionality. First and most importantly, you should make sure the board will fit your stroller. Some buggy boards are featured as universal which means that they can fit all types and brands of strollers. There are also models that you will be required to purchase the universal connector kit separately in order to connect it to the stroller. Lastly, some boards are designed for limited strollers such as for a particular stroller brand or style. When deciding on the best stroller board to purchase, you must choose one that will fit your child. There are not height limits because they are platforms for children but many have maximum weight recommendations. 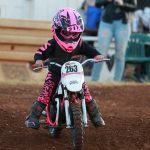 Be sure to choose a platform that will hold your child for more than just a few months, as we all know how fast kids put on weight! For maximum riding safety, take note of the recommended age range. Again, you want to choose a stroller board that will grow with your child. For example, if the age recommendation is 18 months to 4 years of age and your child is turning 4 soon, you may want to look for a model that accommodates older children. Parents often want something that is easy and quick to install because it saves time, especially when on the go. Consider the installation steps and any tools required when selecting from different stroller board options. Another added convenience factor is when the board is foldable when not being used. Some models only fold up while the stroller is open while others can also fold along with the stroller for easy travel. If portability is important to you, you will want to opt for a buggy board that is completely foldable. There are several things you should look when it comes to the platform board that your child will be standing on. Size is certainly something to think about especially if your child is a bit older. Be sure to look at the dimensions when choosing from the many available options. Anti-slip surfaces can give your child additional protection by preventing their feet from sliding around. You should consider the versatility of the stroller board in terms of whether the height or weight of the board can be adjusted. Some models even offer the option for parents to increase their walking space by adjusting the connection to the stroller. The best buggy board will be one that provides both comfort and convenience for your older child to ride along on the stroller. Parents love being able to extend the life of their stroller and kids have a blast being able to come along for the adventure. Exploring the city or running errands can be exhausting for older kids. Make your walking trip more efficient by buying a stroller board. 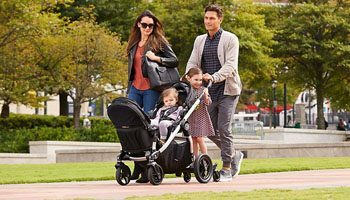 Whether you want a universal stroller board or one designed specifically for a particular brand, we hope that our buying guide helped you to find one that best suits your needs.